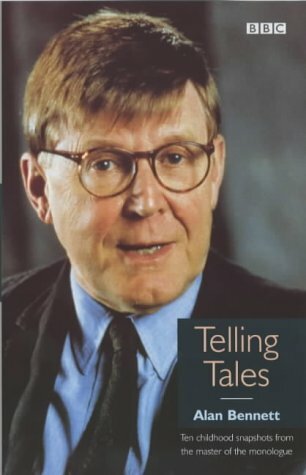 Ten childhood snapshots from the master of the monologue Alan Bennett recalls his childhood in a sequence of talks that are funny, touching and told in his unique style. Hampered, as he sees it, by a family that never manages to be quite like other families he recounts his early years in Leeds a place where one learned early on the quite useful lesson that life is generally something that happens elsewhere: there is hiking every Sunday, trips into town and teas in cafes. Its an ordinary childhood, Bennetts father a butcher, his mother a reader of womens magazines who dreams of coffee mornings and cocktail parties and life down south. He re-lives family crises, early pieties and the lost tradition of musical evenings round the piano, all these tales told with that wry observation and ironic understatement that has earned Alan Bennett a place in the forefront of contemporary writing. Even though his childhood in Leeds took place decades before my own I can still relate to much of what he was saying, I grew up on the outskirts of Leeds in a mining village and to be honest it always felt like you went back a decade or two from the city centre. But the truth is that even for those who grew up in other areas there will be elements from their own childhood they recognise, after all we all have those certain characters in our childhood that make their mark one way or another. Though it is written about a specific area the language is not dialectically difficult, and as I said in the opening if you have heard Alan Bennett’s voice it is impossible to read this without your head creating the illusion of him narrating it to you. It is also interesting reading the introduction the understand more about his reasons for choosing to use this medium to relate his personal stories. It is a slim book and can be read in one night and makes a refreshing change to some of the ‘celebrity’ memoirs that are three hundred volumes of drivel., it is a testament to Bennett’s genius that he can select out a few memories that give you such an in-depth understanding into his childhood without needing a whole book. And for the score, well it has to be five out of five stars. It’s interesting that he and you have so much you can relate to after such a gap in years. Next #leeds2018 – Live Ticket Launch!